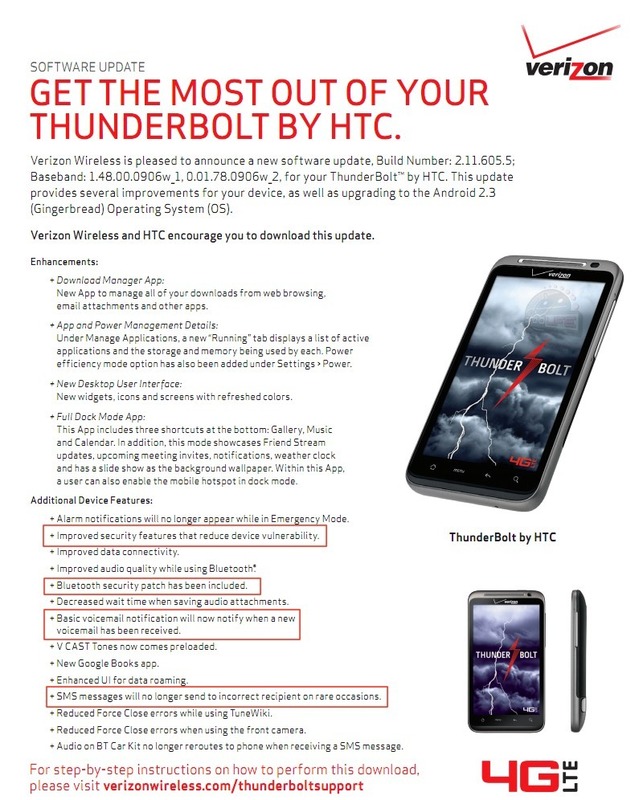 After HTC and Verizon released 2.11.605.3 for the Thunderbolt, they quickly realized that it had a couple of very serious bugs (broken voicemail notifcations and a major security vulnerability) and pulled it. Now, almost a month later, they have returned with a new version rolling in at 2.11.605.5 which just so happened to have leaked last week. It fixes both of those major issues we just pointed out, along with Bluetooth security and those random SMS message sessions. The update is 146MB in size and could be available in the coming days. No word yet on how HTC will update those that actually accepted the 2.11.605.3 update.